Syv Bruzeau born in France. After a Master in Russian-English and marketing, Syv came to Asia where she extensively traveled, following her curiosity to experience different cultures. She opened a few restaurants in the region and this passion for providing joy and bonding between people led her to movement therapy. She discovered Butoh while in Japan, and studied it in the Himalayas with Lee Rhizome, in New York City and Japan mainly with Katsura Kan, Eiko and Koma, Natsu Nakajima, Tetsuro Fukuhara. She practiced other movement-based and awareness techniques and is now sharing her experience through her own method. For Syv, Butoh is a creative, self-discovering and healing, process. 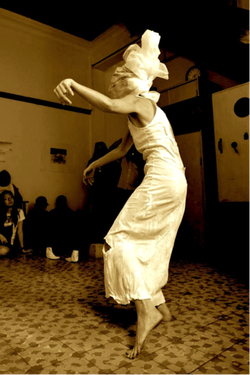 Butoh is a space of freedom. A space of infinite possibilities and a life style. 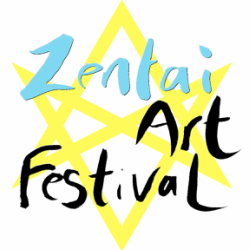 Syv will be collaborating with 8 dancers in an improvised dance production for The Zentai Art Festival. 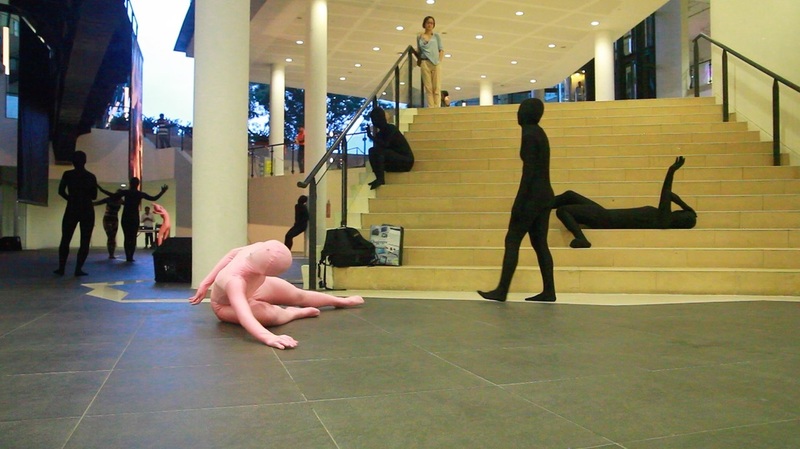 When we wear a black zentai, we become flat. We lose the 3-dimensional aspect of our body. Some of the movements we do cannot be seen anymore by the audience, just because we wear a black zentai–a black hand in front of a black tight, what does it become? Parts of the body seem to not exist any longer. I know I am moving, yet the audience cannot perceive it. This questions what ‘having a body’ means. What is a movement if it cannot be seen by the viewer? Chapter 2 is exploring ways to break the illusions about our body image, about the world we evolve in and its dimensions. What if we come back to a no-dimension? A multiple-dimension? 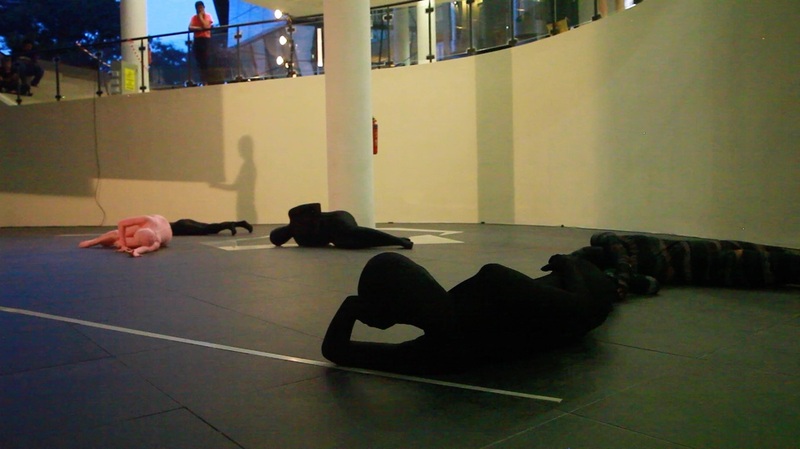 Out of context, when you look at us, dancers, do you know whether we are lying on the floor or standing? If we reduce our 3D body to 2D or 1D, how do we feel about it as dancers? What kind of (new) movements does it force us to create? Chapter 2 helps us to further questions what it means to be a human being. What is this body, this “I” or mind behind? Who is used by whom? 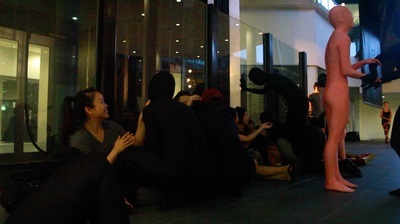 Which part of me feels different when I am wearing a black zentai? 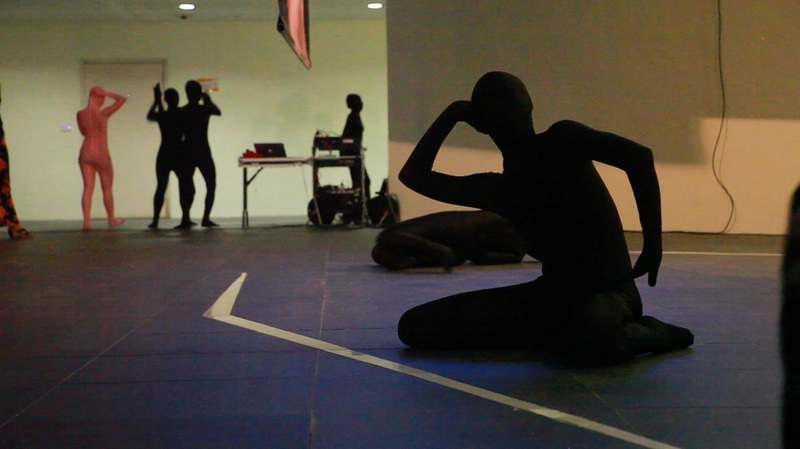 Is zentai a liberation? From what and why? What do I need to hide? Chapter 2 investigates as well the dichotomy between what we perceive and the way we are perceived. Each of us holds a truth which can be different or contradictory to another one. Both of them are equally good or valid.